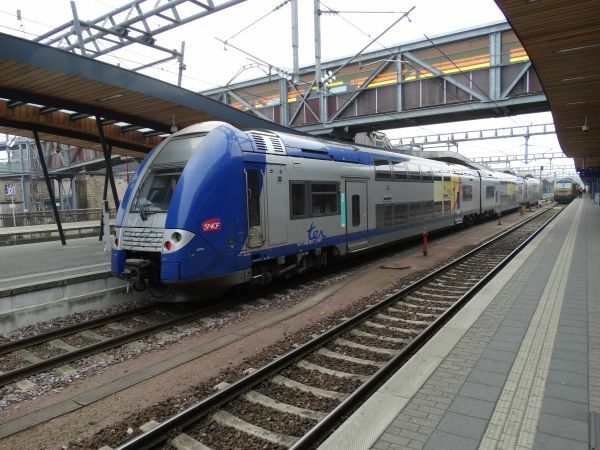 This is a Belgian state railways SNCB express train between Luxembourg and Li�ge (L�ttich) of Belgium, headed by CFL's series 3000 locomotive 3019. This is a standard way of operation in Luxembourg these days. Picture at Luxembourg central station 17.12.2017 by Ilkka Siissalo. 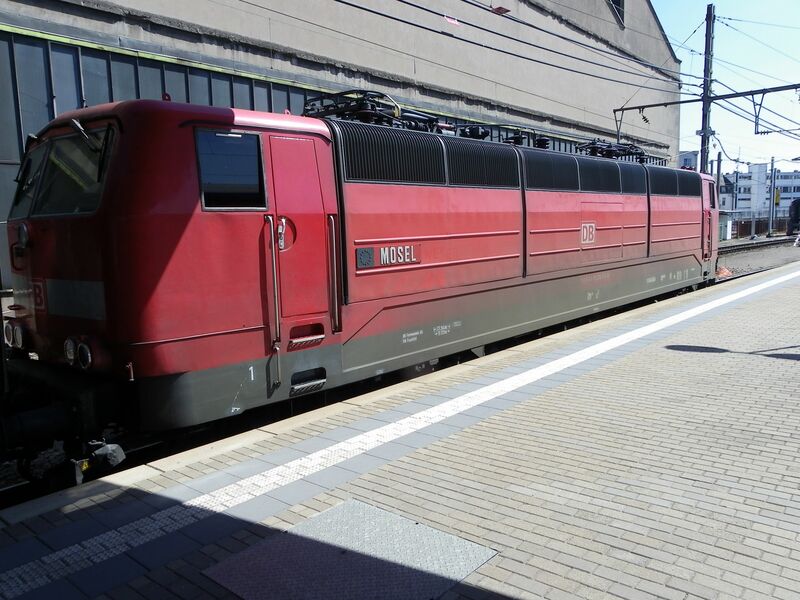 These comfortable but ugly trains run between Luxembourg and Brussels-Midi. It is a Belgian state railways SNCB class AM 96 electric multiple unit, which looks just like a rake of passenger coaches, where someone has forgotten to add a locomotive to, but it moves nevertheless. 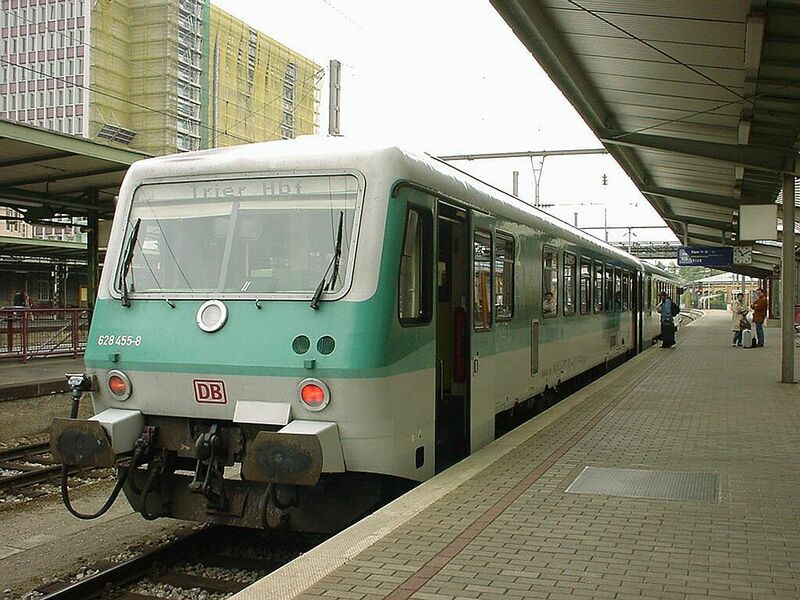 These trains were built by Bombardier in 1996 and they are based on the earlier "rubberface" trains of the Danish class IC3. Picture from the Luxembourg main station 17.12.2016 by Ilkka Siissalo. Side view of the same rubberface train of SNCB class AM 96. Picture from the Luxembourg main station 17.12.2016 by Ilkka Siissalo. 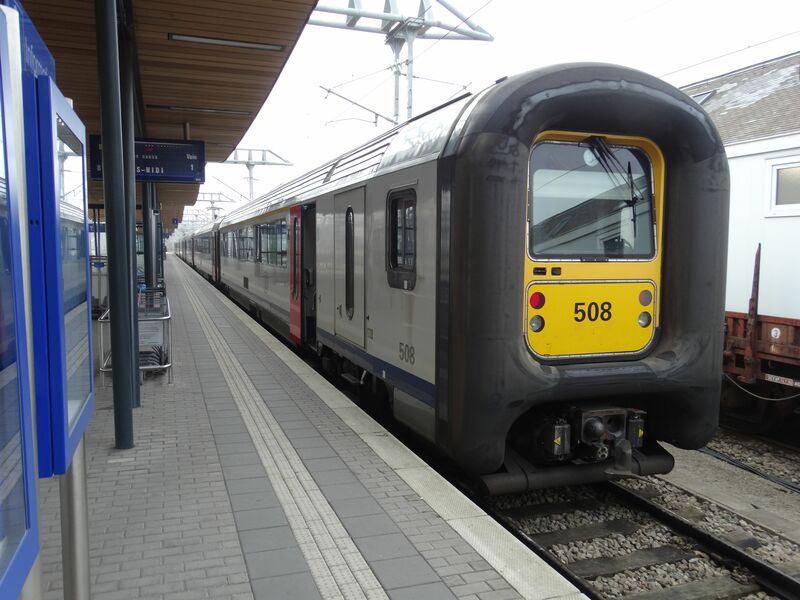 Another one of the SNCB class AM 96 "rubberface" trains. Picture from the Luxembourg main station 19.7.2010 by Ilkka Siissalo. 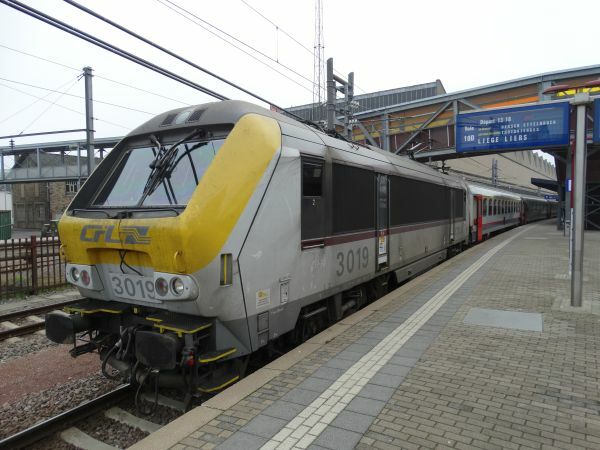 A Belgian SNCB locomotive no 2006 leading an express service from Luxembourg to Li�ge, Belgium in 2010. Most of these locomotives have been scrapped by now and the same services are run by CFL's class 3000 engines as shown at the top of this page. 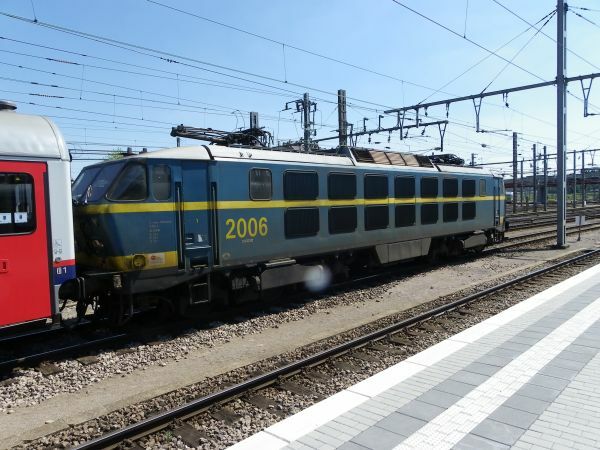 These SNCB class 20 locomotives were built 1975-77. SNCB had 25 of them and used them often in the Brussels and Li�ge to Luxembourg services. The six axle locomotive had a maximum speed of 160 km/h. Their commercial service ended in 2013. Picture from the Luxembourg main station 19.7.2010 by Ilkka Siissalo. This is the current standard express service between Luxembourg and Paris these days. It is a French SNCF's doubledecker TGV POS, one of those French bullet trains that are accepted for traffic in Germany and Switzerland as well. (Its country roster does not by the way even mention LU, but LU is for the French such a small country that they don't care :-) Picture from the Luxembourg main station 17.12.2016 by Ilkka Siissalo. This is French national railways SNCF regional TER service train Zx24570. It is exactly similar to the CFL class 2200. It is typical that for the border crossing regional services between Luxembourg and French Lorraine (Lothringen), every train is similar, but every other train is red and owned by CFL and every other is blue and owned by SNCF. The yellow tapings by the sides of the train indicate that this is a regional service of French Lorraine. Picture at Luxembourg main station 17.12.2016 by Ilkka Siissalo. 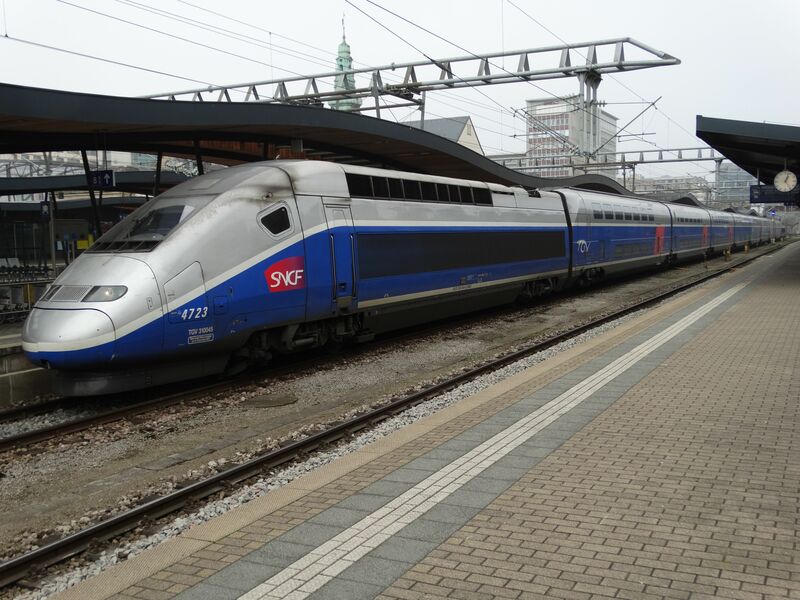 Earlier there were frequent EuroCity express train services between Luxemburg and the cities of Trier, Saarbr�cken and Frankfurt operated by the German DB. These trains were always led by the German class 181.2 electric locomotives. The Br 181 was an early trial of a multiple electrical system locomotive, which DB hoped to be able to use Europe wide. But the technology was not ripe at that time and the few machines of this class produced only got as their daily task the haulage of the Germany to Luxembourg expresses as well as some cargo trains to French border stations. These locomotives all had individual names. 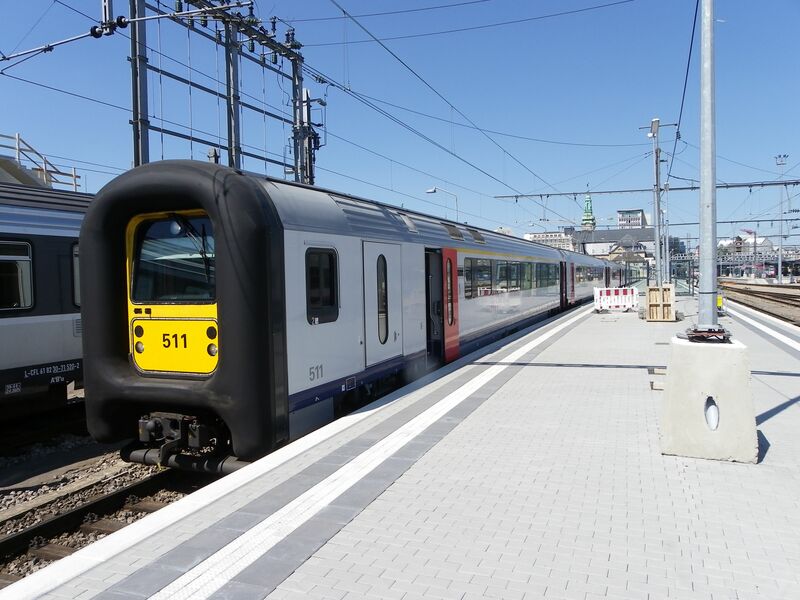 Currently passenger services from Luxembourg to Germany are taken care by CFL's new Stadler KISS double decker electric multiple units. Picture of the Br 181 "Mosel" at Luxembourg main station 19.7.2010 by Ilkka Siissalo. Another view of the DB Br181 no.214 "Mosel" with its EuroCity train to Frankfurt. Picture at Luxembourg main station 19.7.2010 by Ilkka Siissalo. 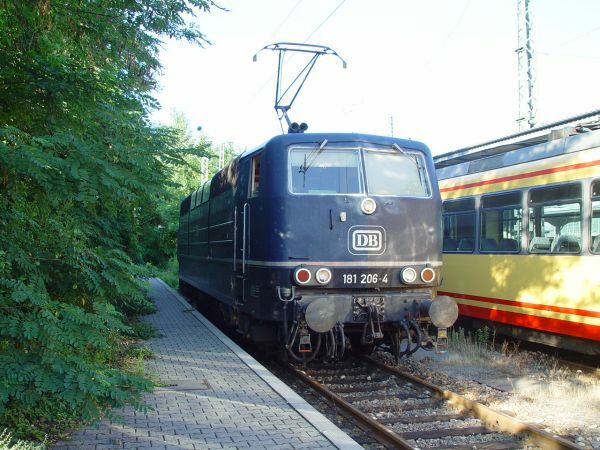 Two of these same Luxembourg locomotives of the German class 181.2 were kept in their original blue livery together with the 1970s DB logo. This picture is not from Luxembourg although the locomotive almost daily visited LUX, but from Karlsruhe, Germany at 20.7.2004. Picture by Ilkka Siissalo. 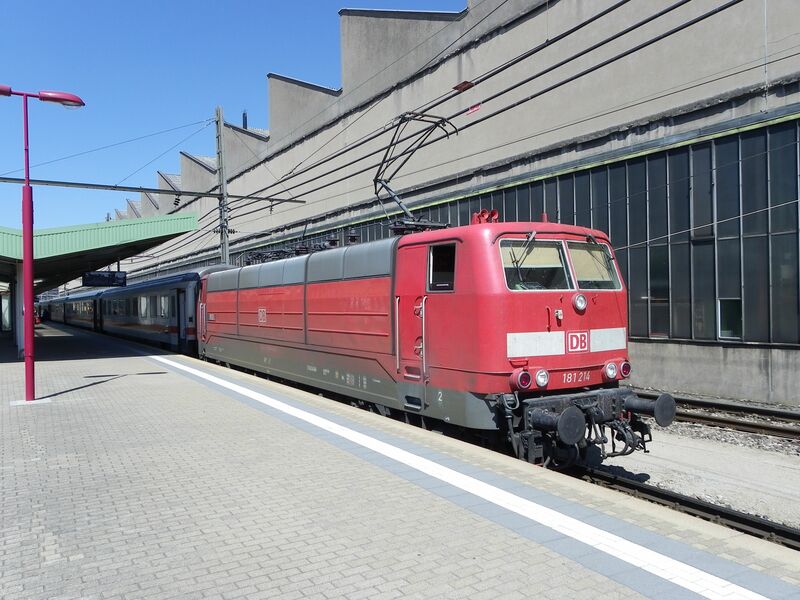 This train we have published on the foreign trains in Luxembourg page because it looks like a foreign train, and yes, indeed it is an authentic German class Br 628 two coach railbus. But strictly speaking two of these trains were not foreign for Luxembourg, but were owned by the CFL. Here the train is in DB's 1980s "mintt�rkis" colouring scheme and with a DB logo, operated by DB, and indeed just this unique train actually also was a DB train. But you could only tell it by their unique number and nothing else. 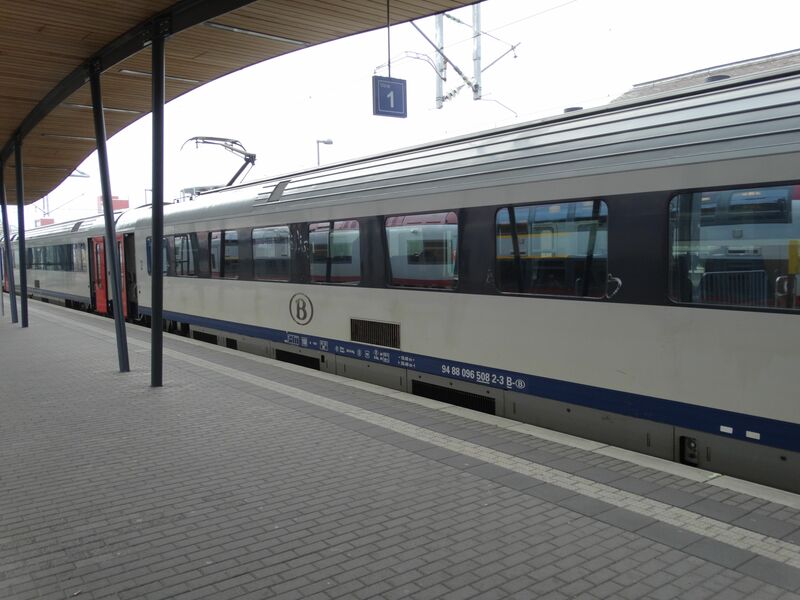 They were used in regional services between Luxembourg and Trier in Saarland, Germany. Later these same trains were painted red in the German typical "Verkehrsrot" painting scheme and during that time the DB logo at the front was replaced by a CFL logo on those ones owned by CFL. Nevertheless all the trains remained operated by DB. When new Bombardier TRAXX locomotives and Bombardier double decker coaches and even later Stadler KISS EMUs replaced them on the Luxembourg to Trier route, some of these CFL owned trains found a new home in northern Germany, where CFL now owns a small previously private rail company neg, Norddeutsche Eisenbahn Gesellschaft Nieb�ll, operating between Nieb�ll and Dageb�ll on the North sea coast. Picture at Luxembourg main station 12.5.2002 by Ilkka Siissalo.